If you can only travel to one destination in Latin America, make it Buenos Aires. This Argentinian capital city rocks with life and vitality from its colorful architecture to its bustling shopping streets, animated attractions and dazzling nightlife. Because Buenos Aires is one of the largest cities in the world, it is best explored by its many districts, called barrios. Some of the most popular barrios include Microcentro, Palermo, Recoleta, San Telmo and La Boca. Microcentro claims the busy downtown area where you can visit significant attractions such as the Casa Rosada, the pink government mansion housing the offices of the President of Argentina. 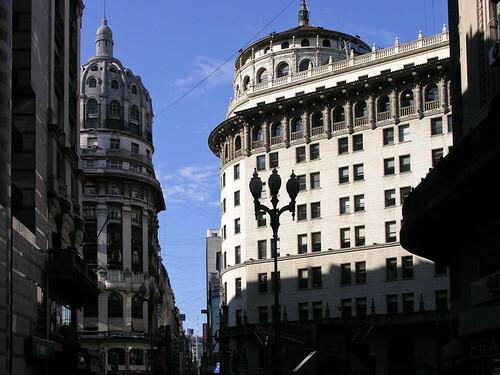 Nearby is the Plaza de Mayo, the city’s main square, which features several important monuments and landmarks. Also located in this barrio is The Obelisco, a towering monument situated at the intersection of the world’s widest avenue. You will also find Florida Street here, a pedestrian zone vibrating with shops, galleries, restaurants and street performers. Known for its scenic tree-lined streets and picturesque parks, Palermo is where you can visit popular attractions like the Buenos Aires Zoo, the Botanic Garden, the Hippodrome, the Rose Garden Park and the Planetarium. Boasting fine restaurants and luxury hotel accommodation, the upscale Recoleta is best known for the Recoleta Cemetery, an elaborate necropolis containing the remains of many Argentinian presidents, military generals, poets and other prominent figures such as Eva Peron. Characterized by its colonial-style buildings, cobblestone streets and wrought iron lanterns, the charming San Telmo is famous for its Sunday antique market where you can browse numerous stalls for a bargain by day and learn to tango dance by night. La Boca is a must-do to see its wide display of art features and vibrant buildings that range from purple to red, green, blue and yellow. Every bit as lively is its Caminito Street, which pulsates with tango clubs and bars. Brimming with art galleries, museums, theaters and cultural centers, Buenos Aires boasts one of the most active arts and culture scenes in Latin America. Some of the most popular venues for visual arts include the National Fine Arts Museum, the Art Museum of Bellas Artes in La Boca and the Museum of Latin American Art of Buenos Aires. For live orchestra and chorus productions, the internationally esteemed Teatro Colon is a must-do while the Recoleta Cultural Center presents many musical and theatrical performances. Visitors looking to catch their breath from all the excitement of the city can enjoy relaxation and outdoor recreation in the many parks located throughout Buenos Aires. Within beautiful parks like the Bosques de Palermo, Chacabuco Park and Centenario Park, you can enjoy soccer, jogging, cycling, boating, swimming, picnicking and more. Buenos Aires features mild winters and hot, humid summers where January is the hottest month. Autumn (March through May) and spring (September through November) offer pleasant temperatures with some thunderstorms. Don’t let any amazing deals slip past you. No matter what your preference or budget, HotelDealSite can find you the best possible rate today!